خیلی‌وقت‌ها در آغوش عشقم دراز می‌کشم و فکر می‌کنم، چقدر شکرگزارم. شکرگزار آزادی‌هایم، شکرگزار اینکه می‌توانم او را تجربه کنم. 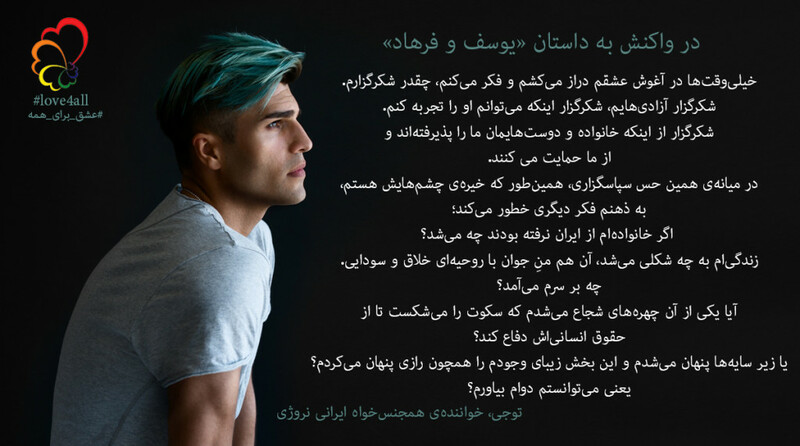 شکرگزار از اینکه خانواده و دوست‌هایمان ما را پذیرفته‌اند و از ما حمایت می کنند. در میانه‌ی همین حس سپاسگزاری، همین‌طور که خیره‌ی چشم‌هایش هستم، به ذهنم فکر دیگری خطور می‌کند. There are so many times when I’m laying in the arms of my love thinking about how grateful I am. For my freedom, for being able to experience him, and the acceptance and embrace of my family and friends. In the midst of this gratitude, another thought strikes me as I look into his eyes. 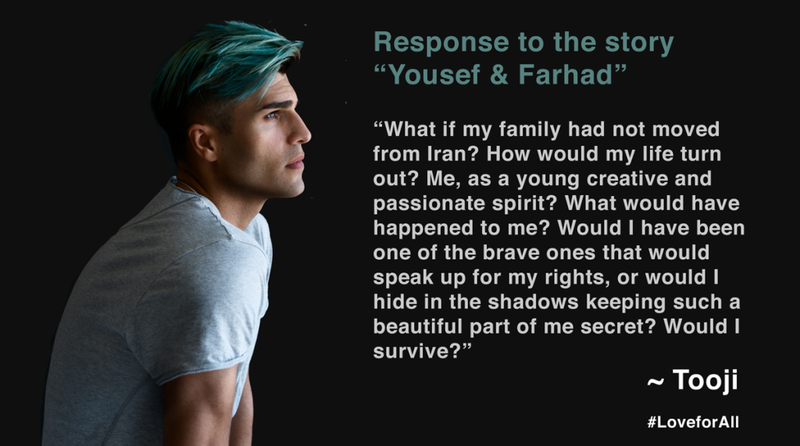 What if my family had not moved from Iran? How would my life turn out? Me, as a young creative and passionate spirit. What would have happened to me? Would I have been one of the brave ones that would speak up for my rights, or would I hide in the shadows keeping such a beautiful part of me a secret? Would I survive?